Notes the Typewriter Museum, “This linear index typewriter was not intended for fast writing, but to produce quality writing like printing” (link). A good write-up of the Kosmopolit can be found here at TypewriterDatabase.com. I briefly owned a Kosmopolit, which I had to resell. It certainly is not a “toy,” as the IPW calls it. 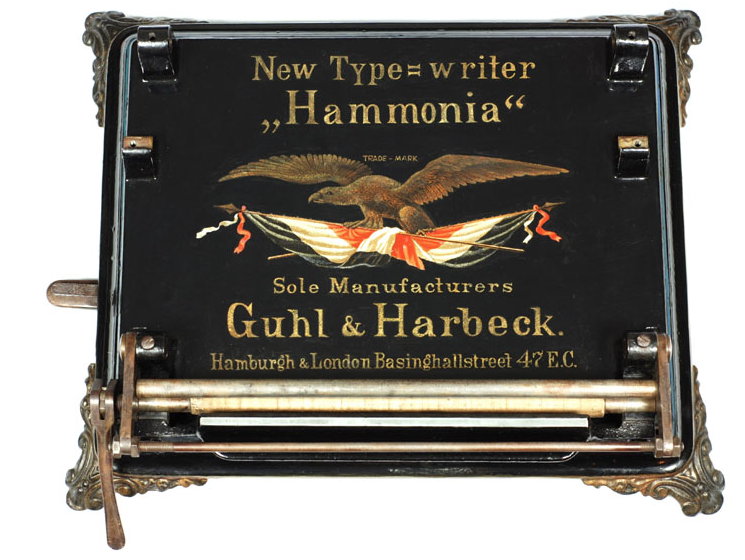 It, like the Hammonia, is a sturdy, sizeable, and carefully built device. Of course, both systems are very crude and slow. 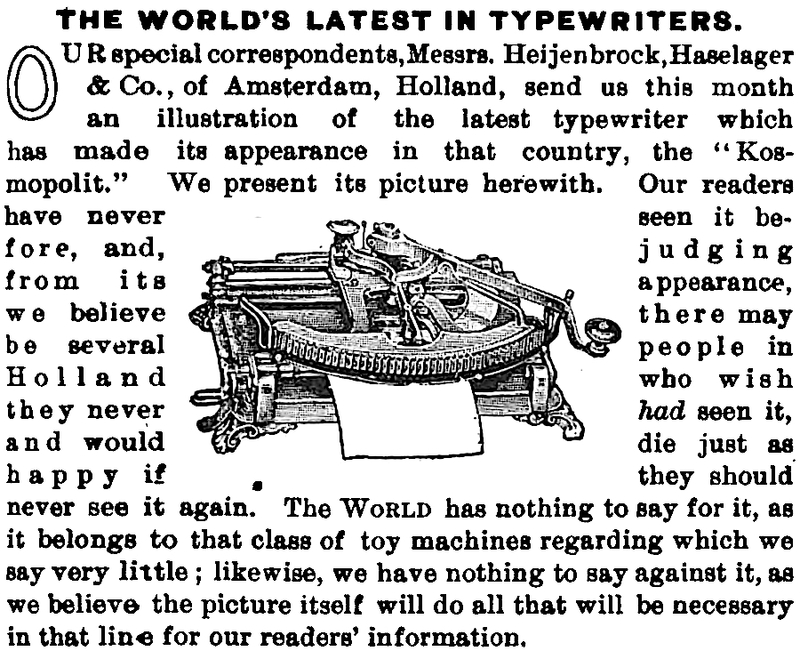 Typewriter manufacturers targeted stenographers, and at some point, these typists became frustrated with claims that index machines and the like typed as fast as standard machines. Certainly index typewriters served a purpose, but not for stenographers. And assessments from this group were humorous, and sometimes caustic.